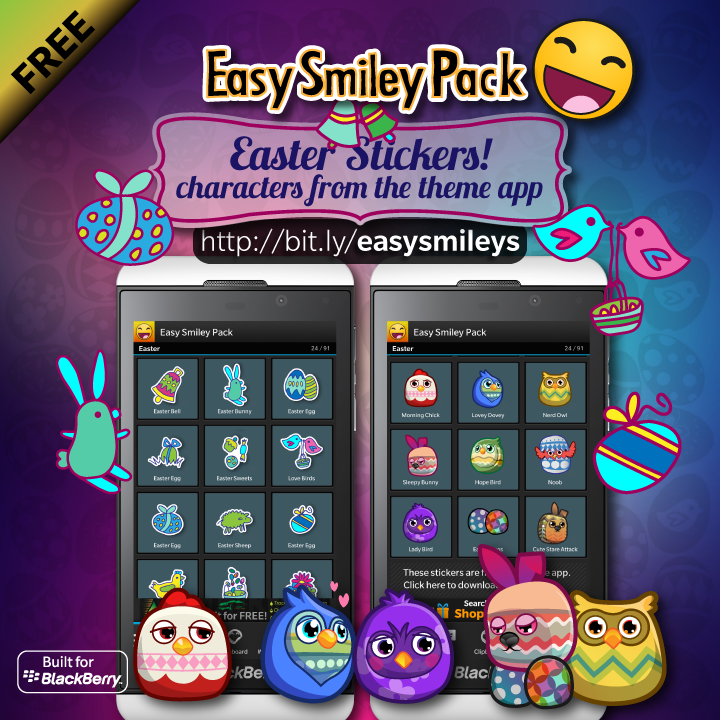 S4BB Limited has just released an update of Easy Smiley Pack for BlackBerry 10 with 91 stickers. 24 of such stickers have especially been designed for Easter fun! All smileys and stickers are free to use! All smileys, stickers, emoticons, flags and ascii art that come with Easy Smiley Pack now total up to over 920! Share your love, share the fun! Previous Previous post: Theme 1.8.2 has been released with free Easter themes!